Graham sits on our Investment Committee. His early career was with the Automobile Association following which he joined Aviva plc as a director of their UK Life business and executive Chairman of their Mutual Funds business. He then worked at Police Mutual where he was Chief Executive. He is currently Chairman of the LV= With Profits Committee, a Trustee of Nest Corporation – where he Chairs the Propositions and Risk Committees and a Senior Independent Advisor for BDO LLP. Rosemary is Chief Executive Officer of the Institute of Physics and Engineering in Medicine (IPEM). She has a background in nursing, and has worked in the NHS Modernisation Agency and the Department of Health. She has been a charity chief executive for the last 13 years, at the Queen's Nursing Institute and IPEM. Sandra sits on our Compliance and Risk Committee and also our Strategy and Impact Committee. She is was the Chairman of Harrogate and District NHS Foundation Trust between 2008 to 2017 and maintains her own business providing consultancy and training to both the professional and health sectors. Sandra is also Chair of the Members of the Red Kite Multi-Academy Trust and Trustee of the Masiphumelele Trust, the UK arm of a South African charity raising funds for education and business support for the Masiphumelele town-ship in the southern Cape of Africa. Clare has worked in Marketing for 30 years for blue chip businesses, in branded goods and service sectors, across the UK and international markets. Her most recent role was as UK Marketing Director for Cox Automotive, part of the world’s largest automotive services business in the used vehicle market place. After graduating from Oxford with a degree in Pure & Applied Biology, Clare started her career as a management trainee with Mars. She has worked for Northern Foods, as Marketing Director of Fox’s Biscuits and as Group Marketing Executive across 18 operating companies. She was Marketing Director of Aunt Bessie’s and has service industry experience with the train operating company, GNER, as Sales & Marketing Director and in retailing as Director of Customer Service and Internal Communication at Asda Wal-Mart. Clare has also run her own successful marketing consultancy business advising key clients. Margaret is a Registered Nurse, Certified Midwife, District Nurse and a Specialist Nurse who has worked in the NHS for over 30 years. Having maintained her clinical practice skills, she continues to practice as a Tissue Viability Specialist Nurse on a sessional basis. Margaret is the Regional Chief Nurse for NHS England and she is leading the quality and patient safety agenda across The North of England with the overall aim of improving care and support to patients and their carers. After graduating with a BSc (Hons) in Management Sciences and becoming a Chartered Associate of the Institute of Financial Services, Janet spent over 20 years at Yorkshire Bank and the National Australia Bank Group, becoming a Senior Executive in Marketing and Corporate Responsibility. She then undertook a career change, specialising in Fundraising and Development at Northern Ballet. Janet has served as a Non-Executive and Trustee on a number of regional organisations and today runs her own business specialising in fundraising for the arts. Bobby is a chartered accountant and is currently the Group Finance Director of Skipton Building Society and prior to that held a number of senior finance and risk roles within the Society. He has over 20 years’ of experience in IT, Finance and Risk at KPMG and Skipton Building Society. Yvette was a Consultant Paediatrician for 20 years before moving into clinical management holding a number of senior roles culminating in her being appointed Executive Medical Director at Calderdale and Huddersfield NHS Foundation Trust in 2007. Yvette joined Leeds Teaching Hospitals in June 2013 and was previously the Chief Medical Officer of Hull and East Yorkshire Hospitals NHS Trust and Deputy Chief Executive, focussing on quality improvement and patient safety, achieving significant improvements in hospital mortality and healthcare acquired infections. She has been closely involved in the development of the Yorkshire and Humber Academic Health Science Network. Liz is a chartered accountant, having qualified with Ernst & Young after an early career with Lloyds Bank. She was formerly Chief Financial Officer of Callcredit, the credit reference agency, and a founder member of the board which led the business from start-up to a significant private equity exit in 2014. Liz currently sits as a non-executive director and audit committee chair of the LINK Scheme, Tracsis plc and Leeds Trinity University, where she also sits on the remuneration committee. Catherine is a Partner in the Charities and Not-for-profit Team at Browne Jacobson LLP. She is an experienced charities solicitor who advises on all aspects of charity law, governance and regulation. In addition, she also lectures widely, delivers training sessions and Board Strategy presentations and contributes to various publications. She was formerly an elected member of the Charity Law Association Executive Committee and their Honorary Secretary for 9 years. 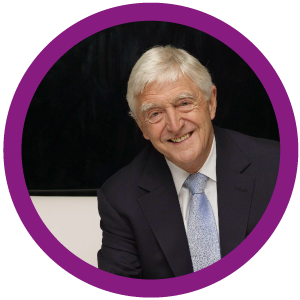 Alan sits on our Income Generation Committee as well as being the Chairman of our Investment Committee. He is a chartered accountant and Partner at Garbutt and Elliott, based in York and Leeds. As well as heading up Garbutt and Elliott’s Audit Department, Alan is the Audit Partner for many of the firm’s charity clients. Chris is a dynamic procurement professional, with experience at executive level of procurement roles in both the public and private sector. Chris currently leads the procurement function at the UK’s largest NHS Acute Hospital Trust, with responsibility for managing departmental budget of £3m, whilst influencing the organisation’s £260m non-pay purchasing spend. A key function of his role has been to implement and lead change management projects, provide innovative solutions within the procurement function to deliver annual savings of over £3m. Alan sits on our Compliance and Risk Committee as well as our Strategy and Impact Committee. For the last 30 years, he has been a senior figure in the world of health technology, retiring from his full-time operational roles with Smith and Nephew, where he was Technology Director. Since then, he has been a Non-Executive Director of Intercytex Group plc and PuriCore plc, and Chairman of the UK Health Technologies Knowledge Transfer Network. Today, Alan is an Honorary Visiting Professor and Member of Court at the University of York, a Fellow of the Royal Society of Chemistry, and an Honorary Fellow of the Royal College of Physicians.